FutureGrind is a game all about skill, tricks and speed. 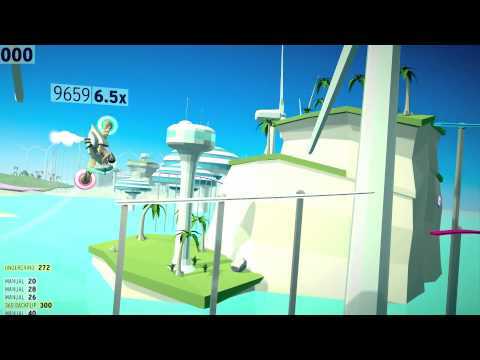 Milkbag Games think it’s a bit like Uniracers meets OlliOlli. The game is played on a track made of rails that run through a 3D environment: some rails are blue, some are red, and some are white. As the player, you control a futuristic, motorcycle-sized vehicle called a “grinder”. Your grinder has two wheels: one blue, and one red. You have to get from the start of the track to the end in one piece, while scoring the most points possible. FutureGrind was released on PC, PS4 and Switch 92d ago in the US and the UK. Notify me when FutureGrind is available.